Returning to Belfast, Carl Frampton looks to take on four-weight World Champion Nonito Donaire during the later stages of April. The ‘Jackal’ intends to add another name to his already near-perfect resume, and maybe even get a shot at the World Title being held at Windsor Park. Frampton’s first World Title win was against Kiko Martinez in a match that took place in September 2014. 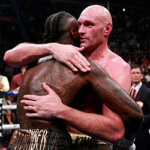 He managed to fight off the Spaniard during the fifth round, and won the decision to earn the title of IBF World Super-Bantamweight Champion. 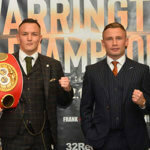 Frampton then went on to successfully defend his title twice, and managed to unify his belt in Manchester after taking down his opponent Scott Quigg with a blow that broke Quigg’s jaw. Donaire matches Frampton in his accolades, having won Championships at Featherweight, Bantamweight, Super-Bantamweight, and Flyweight. His goal at the moment is to earn another shot at the World Title. Donaire’s first win came around ten years ago, where he bested Vic Darchiniyan in a memorable fifth round that saw a knockout by Donaire that was a contender for knockout for the year. Recently, he won the WBO Super-Bantamweight title after a match against Zsolt Bedack, which only lasted three rounds. 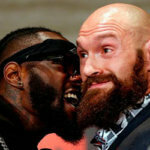 The upcoming fight against Frampton and Donaire looks to be a titanic one as two veterans battle it out for the title. 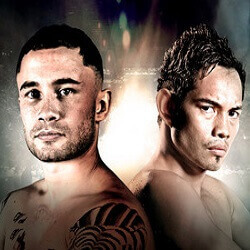 Whether Donaire gets to add another name to his long list of wins, or if Frampton comes out on top and bests the established fighter, is yet to be seen.